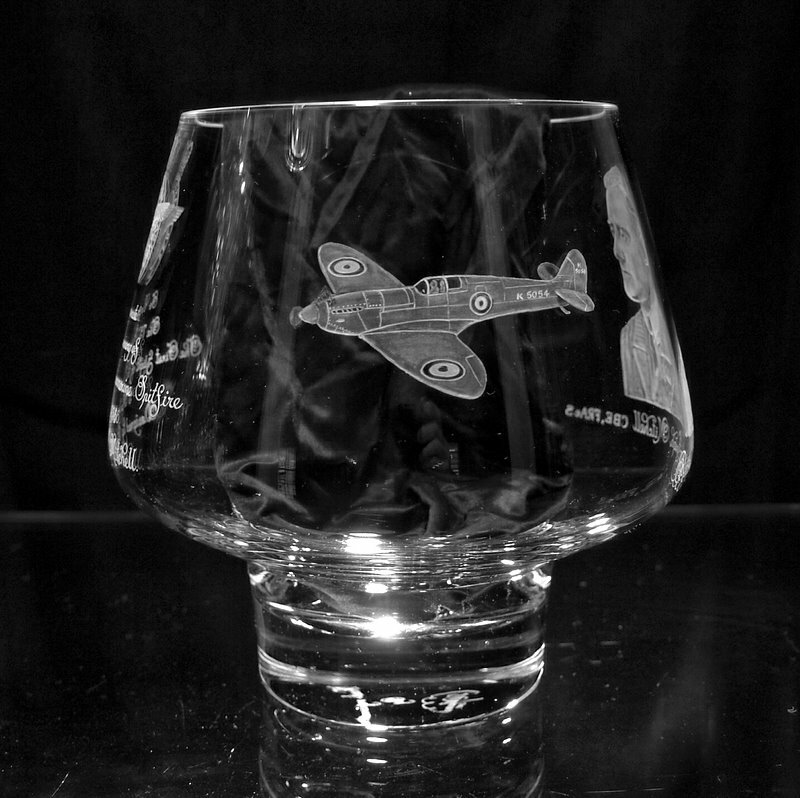 David Whyman is one of UK’s leading glass engraving artists. 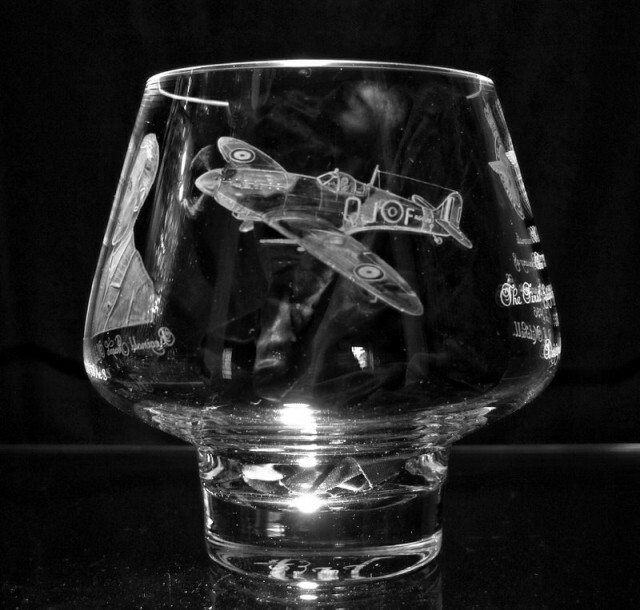 His speciality is country and wildlife scenes, but he has also a vast array of comissions under his belt, covering a variety of subjects: portraits, coats of arms, corporate work, weddings. David is proud to have his works presented to many well-known people, including members of the Royal Family or the president of the USA. David’s latest creation is this piece commemorating the 75th Anniversary of the first flight of the Spitfire. The hand-engraved crystal bowl will be a limited edition of 10 pieces. 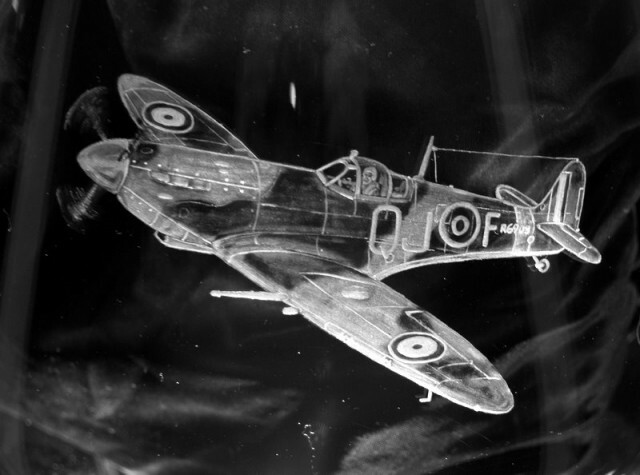 It features 4 engravings: portrait of R.J.Mitchell, the prototype Spitfire, a Spitfire Mk. 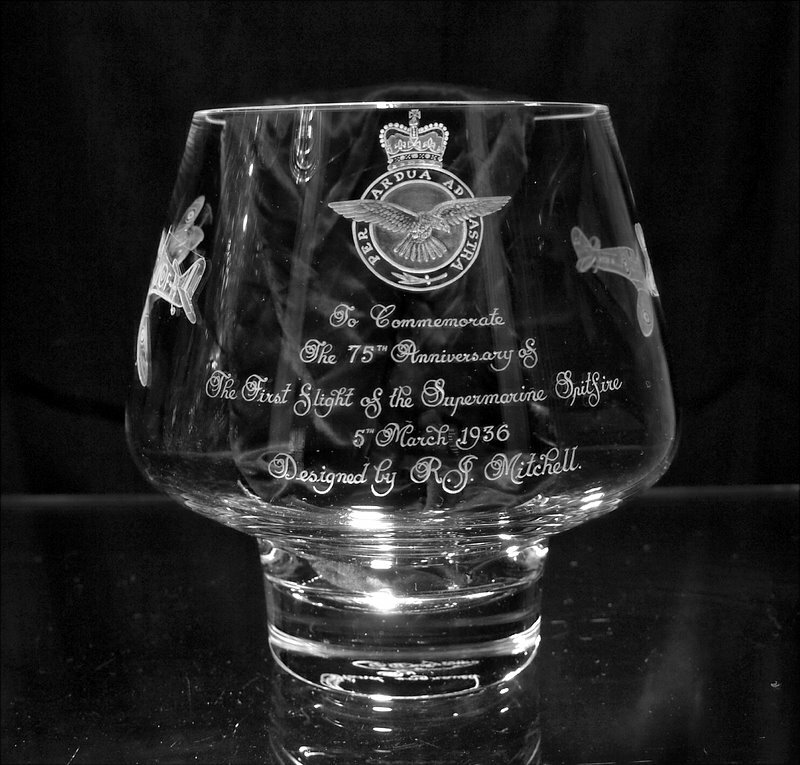 1B as it appeared in service, and finally an inscription with the RAF badge above. 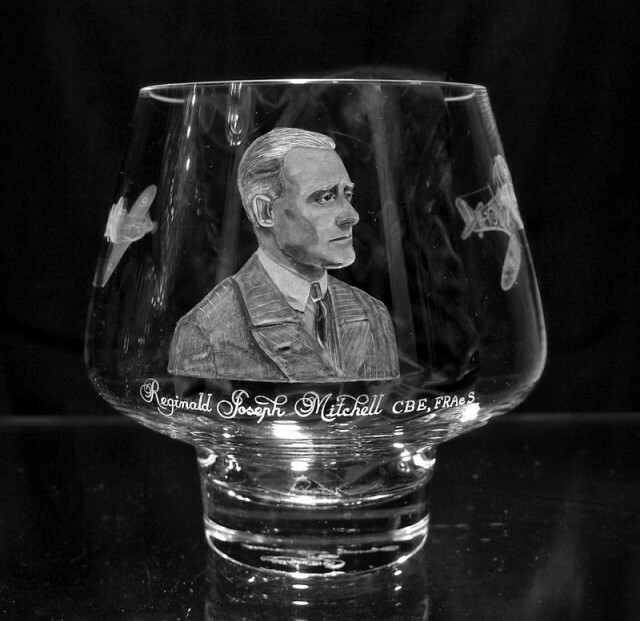 The focal point of the piece is Mitchell’s portrait, executed with photographic precision and sense for detail. Ivor & Kevan Bundell – "Mr. Mitchell’s Angel"